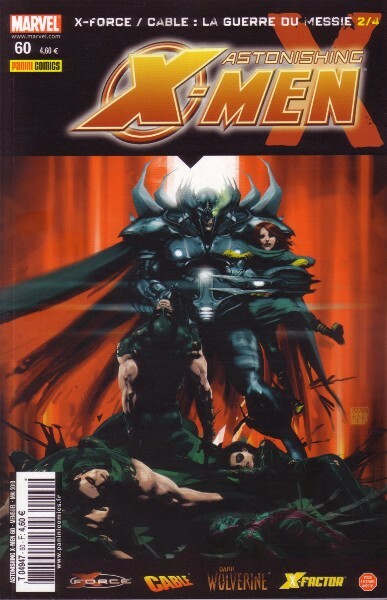 → Excalibur (3°) #1 (07/04) Forging The Sword, 1 Of 4 : Paint It Black! 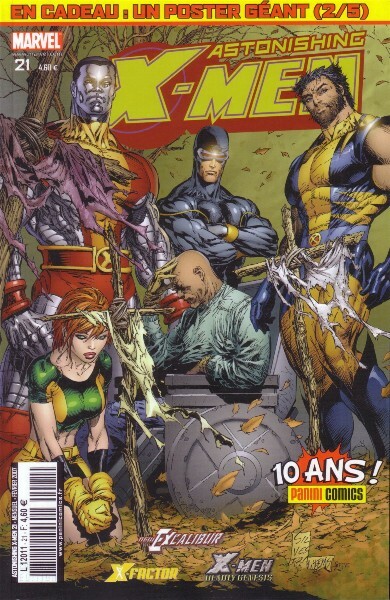 → Excalibur (3°) #6 (12/04) Food Fight, Part Two Of Three : Who's Better, Who's Best! 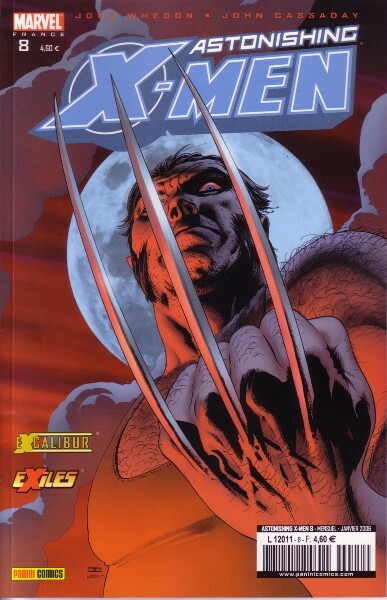 → Excalibur (3°) #7 (01/05) Food Fight!, Part Three Of Three : Bad Moon Rising! 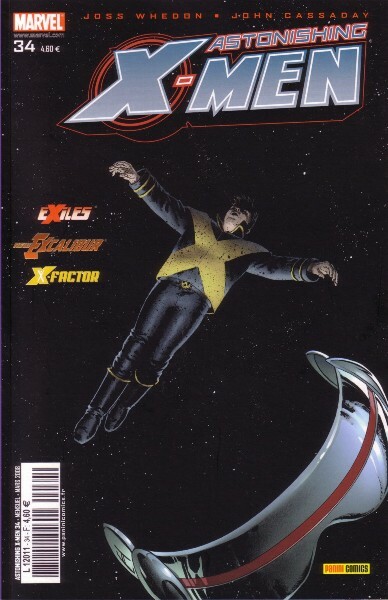 → Excalibur (3°) #9 (03/05) Saturday Night Fever, Part 2 : What Is The Life That Late I Led... ? 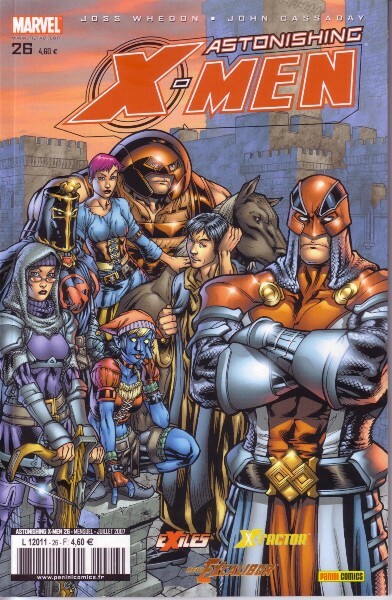 → Excalibur (3°) #10 (04/05) Saturday Night Fever, Part 3 Of 3 : Casting Fate! 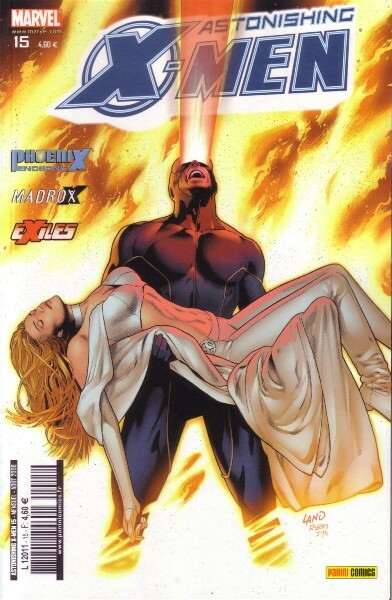 → Excalibur (3°) #11 (05/05) The Devil's Own, Part 1 Of 4 : Save The Life Of My Child! 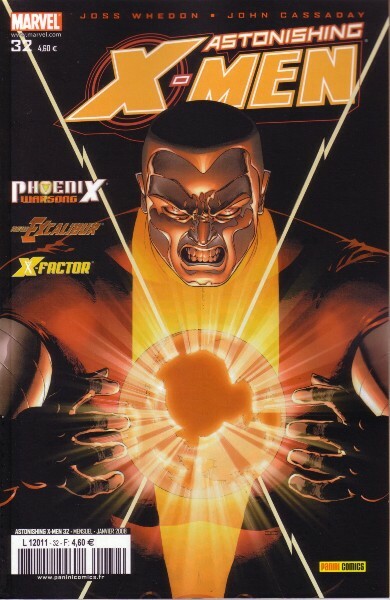 → Excalibur (3°) #12 (06/05) The Devil's Own, Part 2 Of 4 : Gonna Have A Revolution! 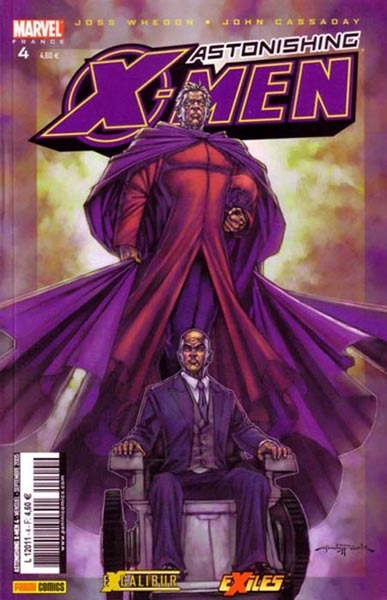 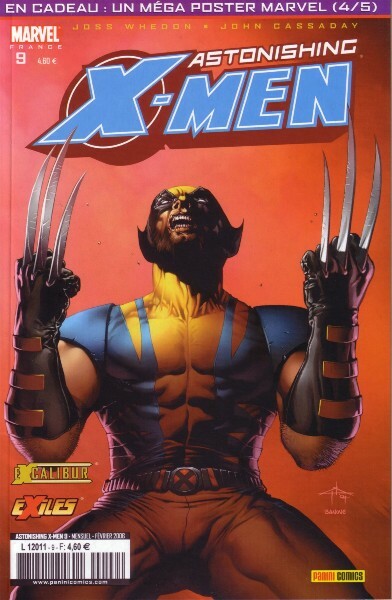 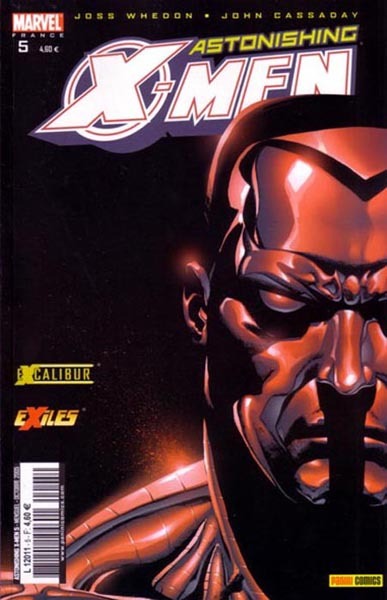 → Excalibur (3°) #13 (07/05) House Of M Prelude - The Devil's Own, Part Three Of Four : The World Is Mine! 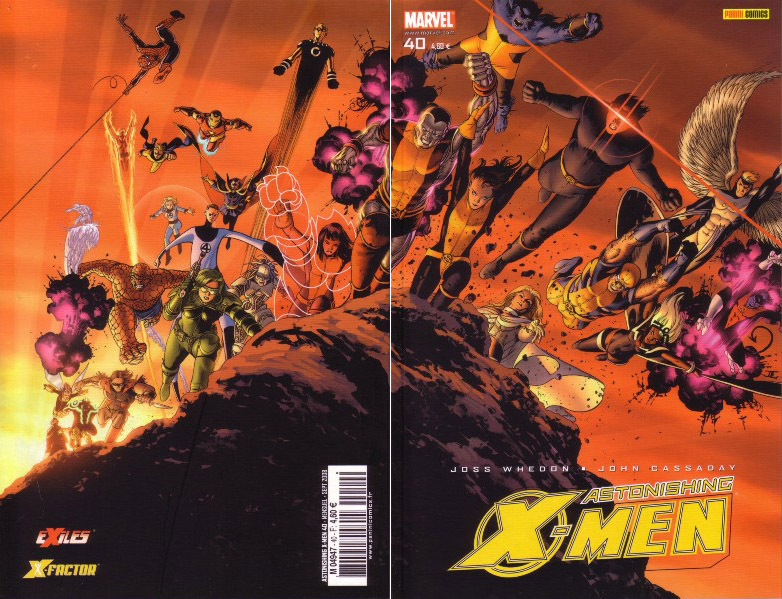 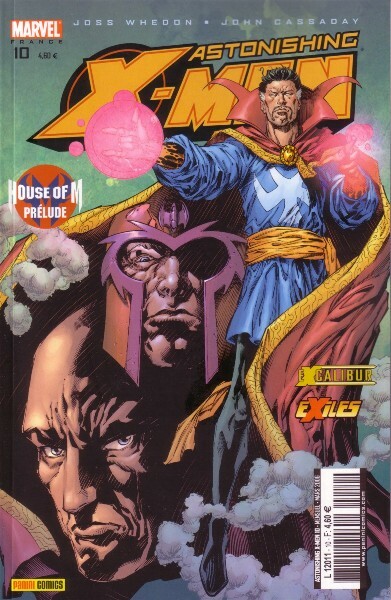 → Excalibur (3°) #14 (07/05) House Of M Prelude - The Devil's Own, Conclusion : The End Of The World As We Know It! 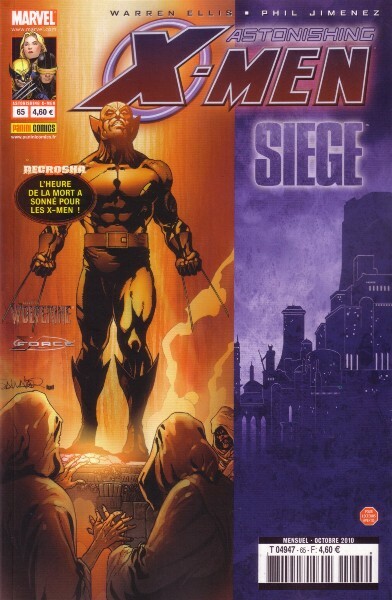 → New Excalibur #1 (01/06) Decimation - Here We Go Again! 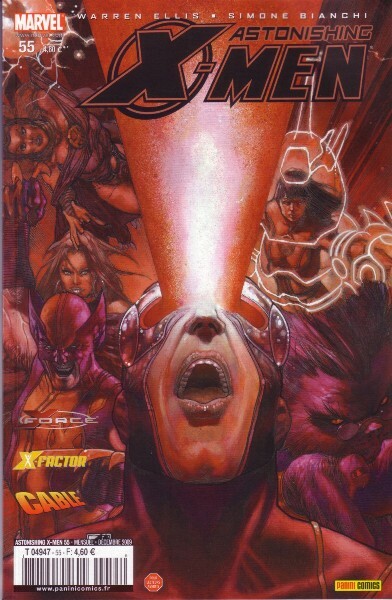 → New Excalibur #2 (02/06) Decimation - Cast A Giant Shadow! 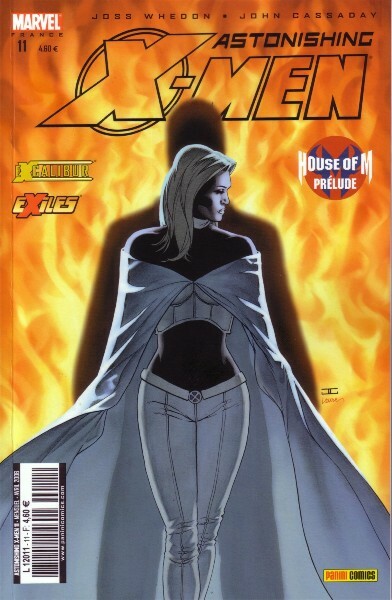 → New Excalibur #3 (03/06) Shadows On The Soul! 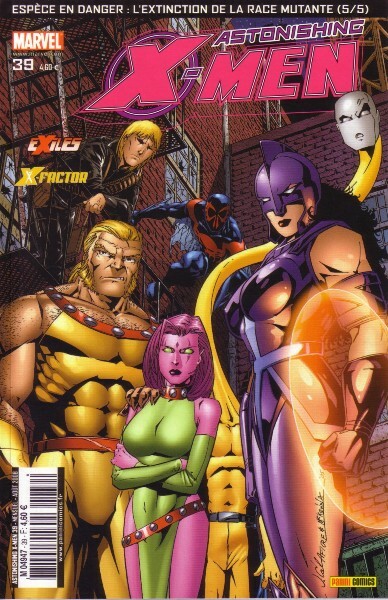 → New Excalibur #4 (04/06) Old Times Now Are Not Forgotten! 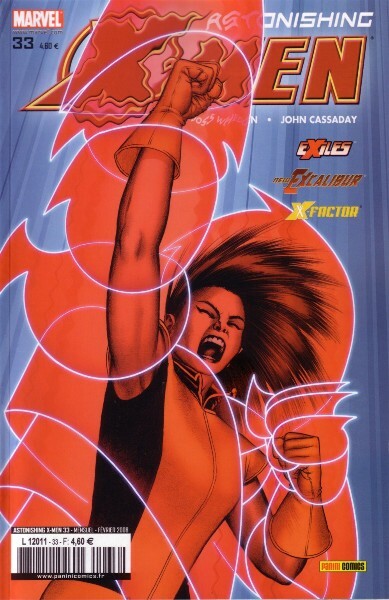 → New Excalibur #5 (05/06) Howling Mad! 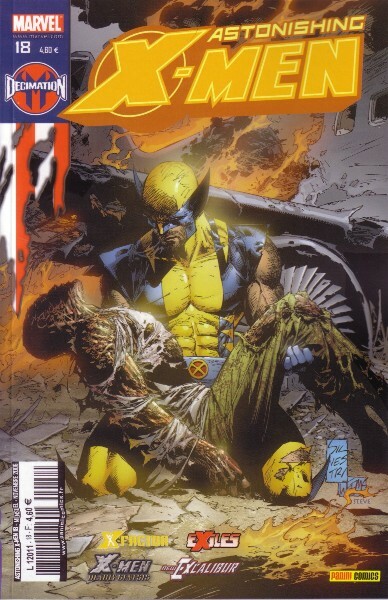 → New Excalibur #6 (06/06) So Why Is It I'm Not Dead?! 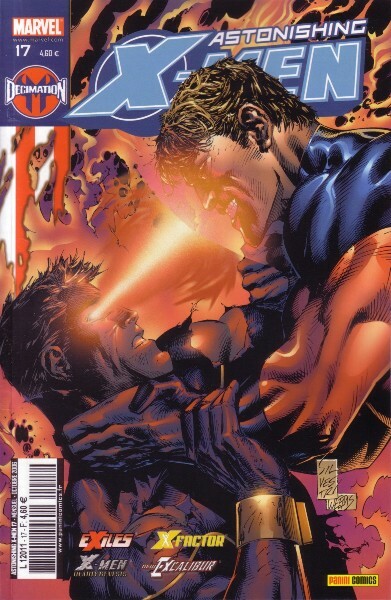 → New Excalibur #7 (07/06) The Price Of Friendship! 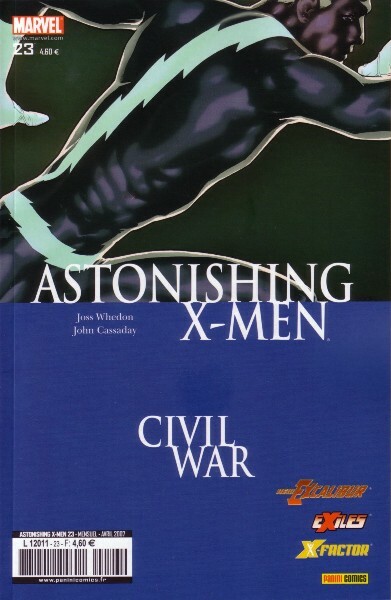 → New Excalibur #18 (05/07) Albion Prologue : To Rise Again This Day! 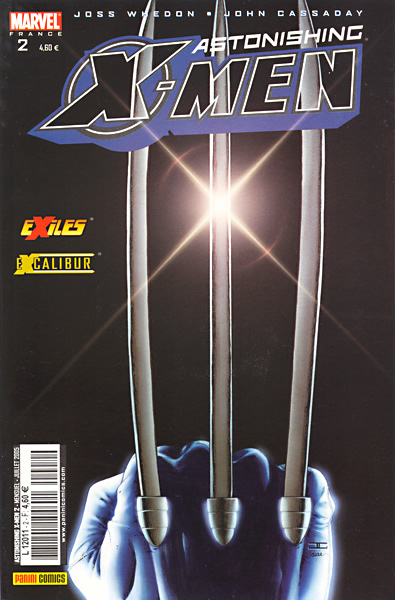 → New Excalibur #19 (06/07) The Game Begins! 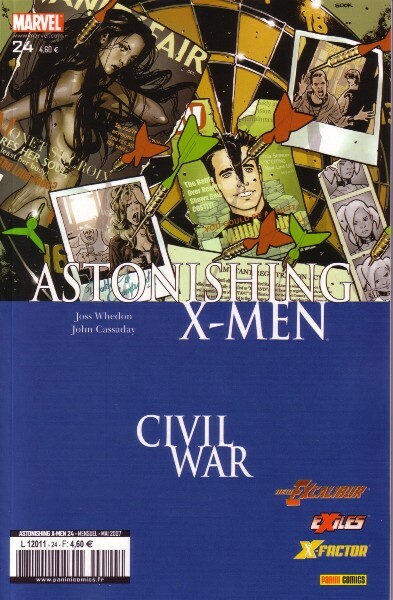 → New Excalibur #21 (09/07) England Is Mine! 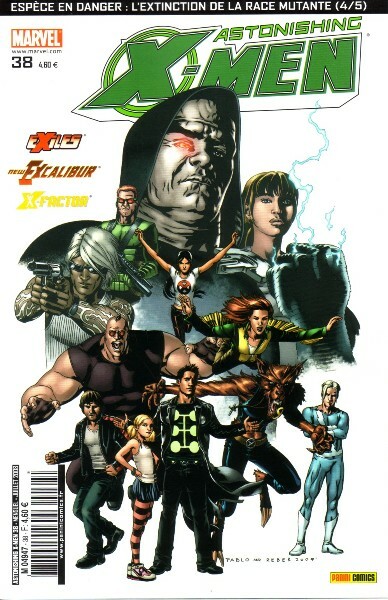 → New Excalibur #23 (11/07) Too Many Days To Die! 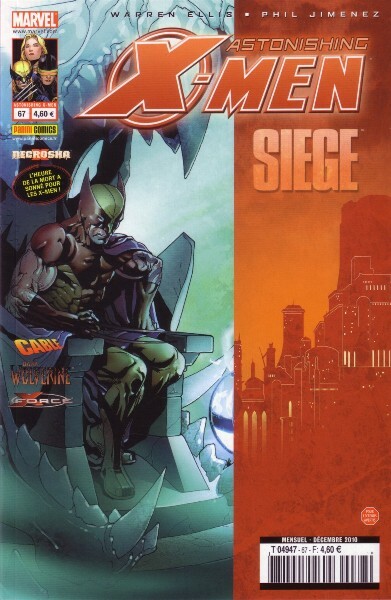 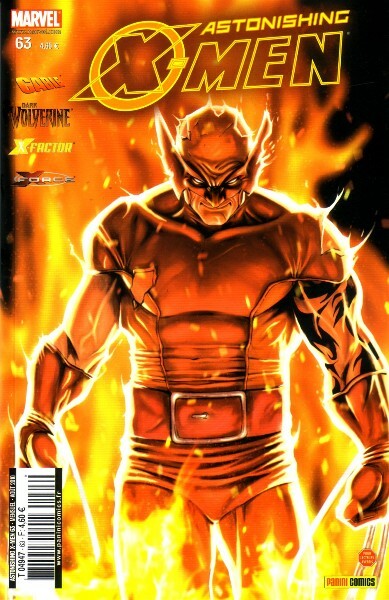 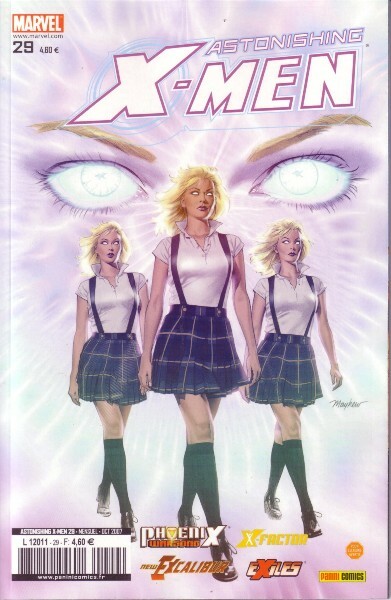 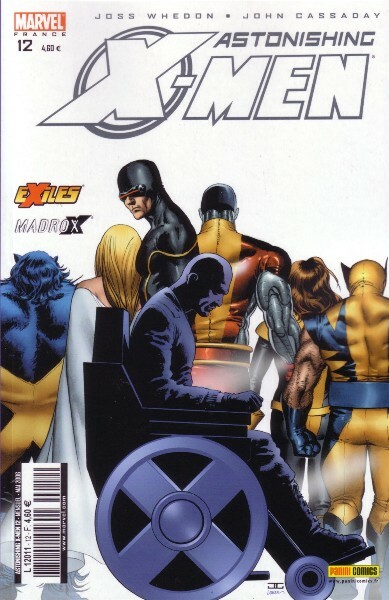 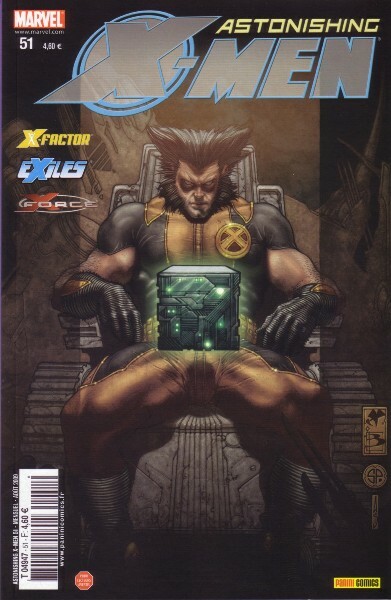 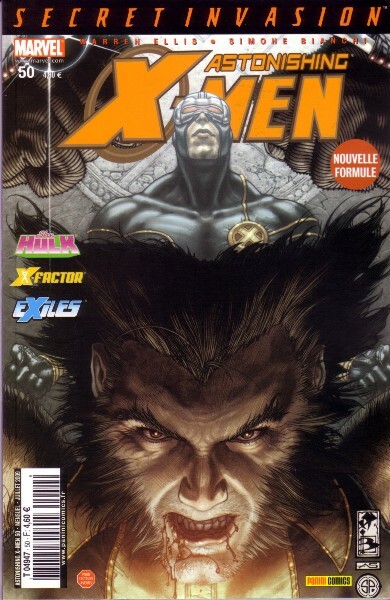 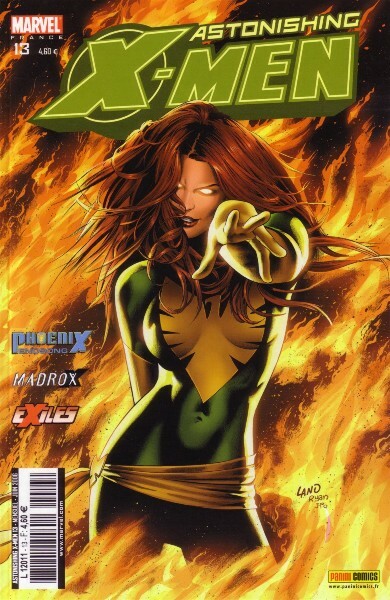 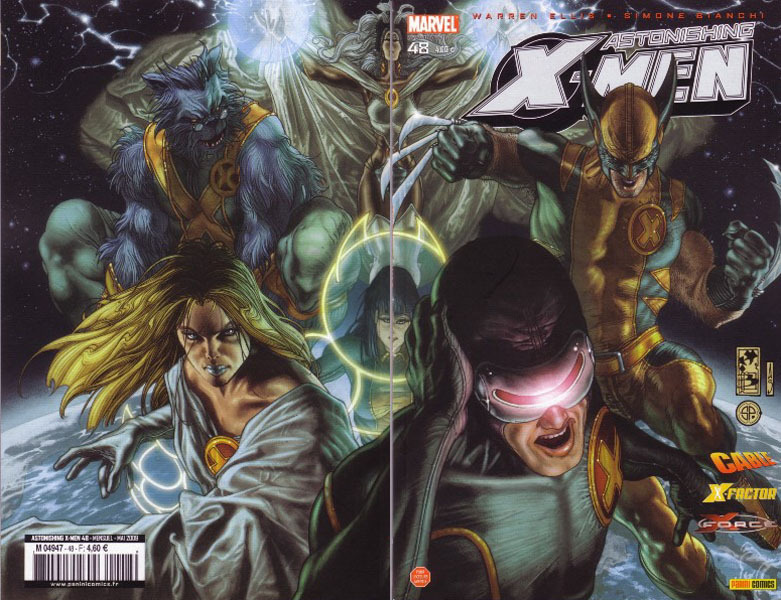 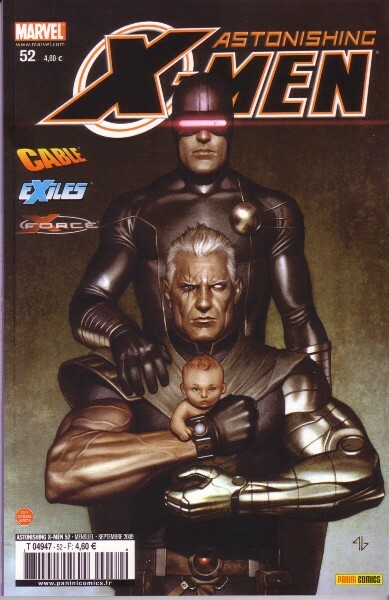 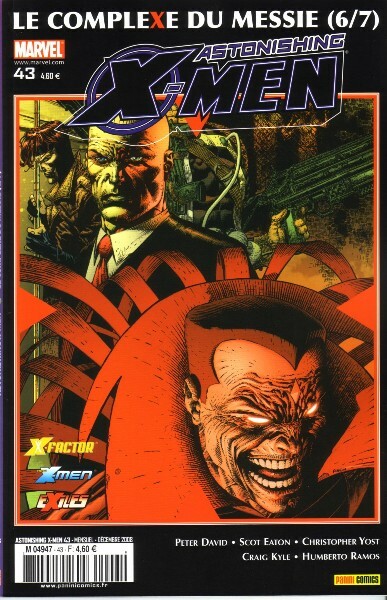 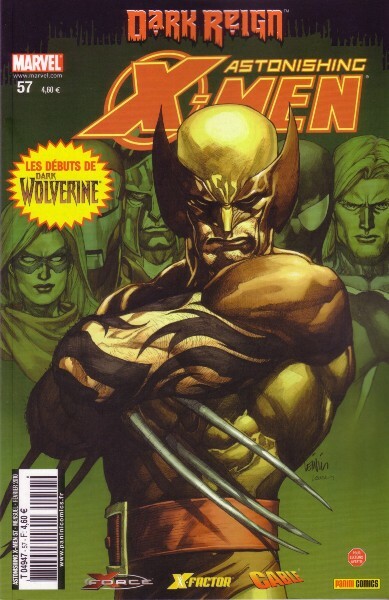 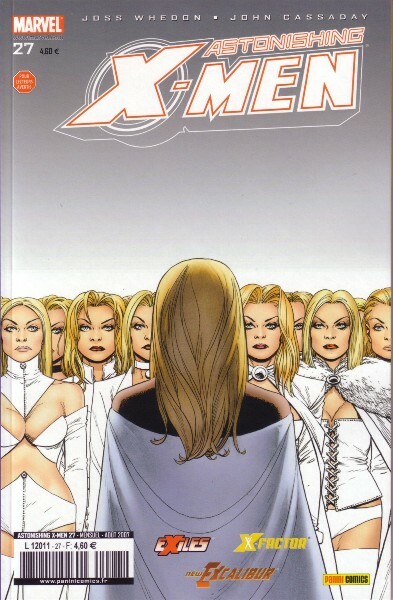 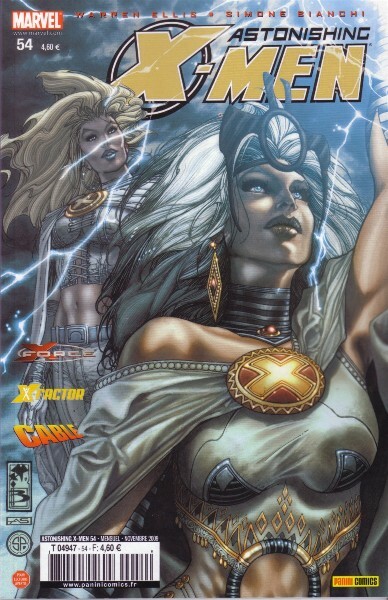 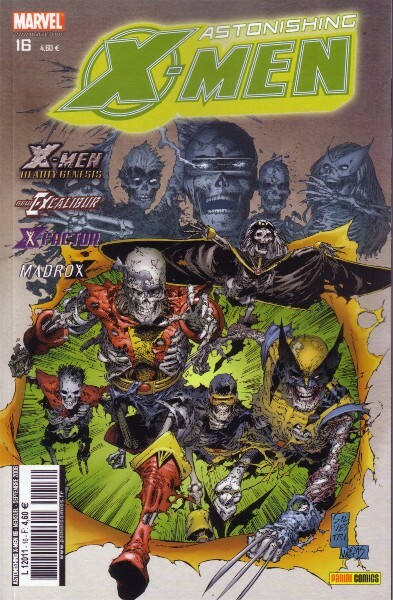 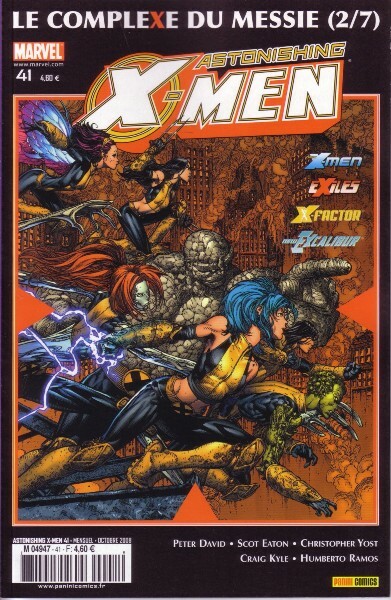 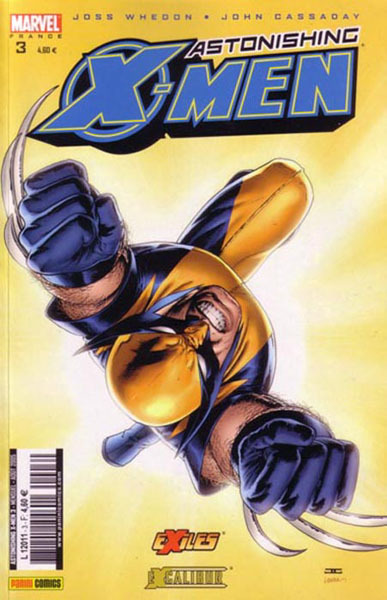 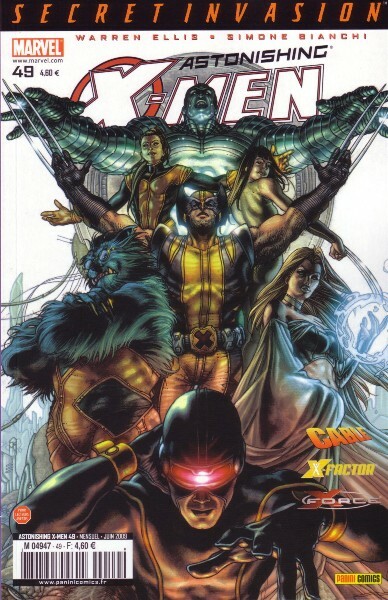 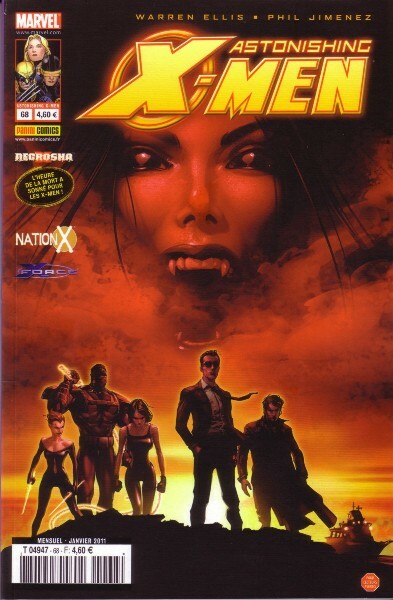 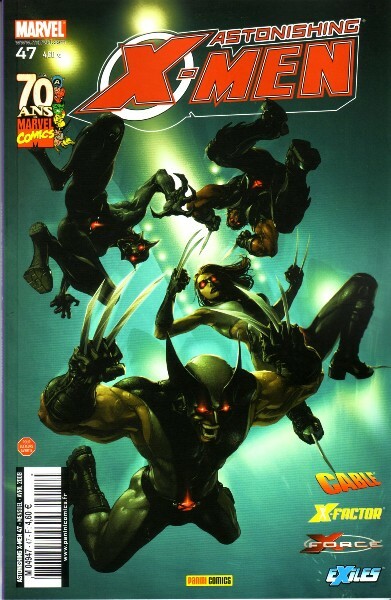 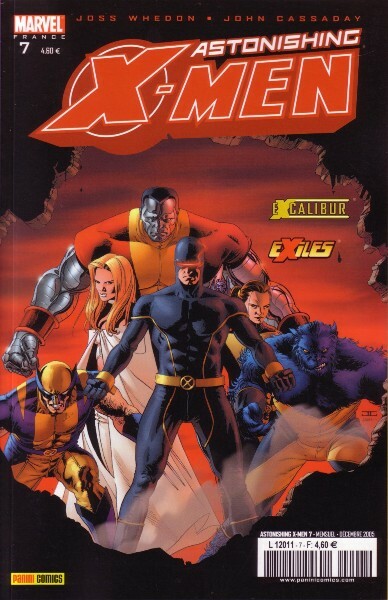 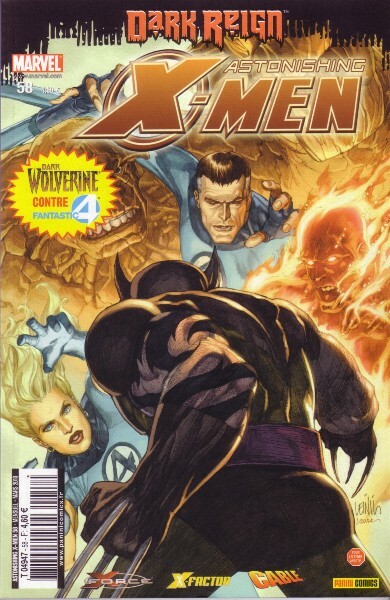 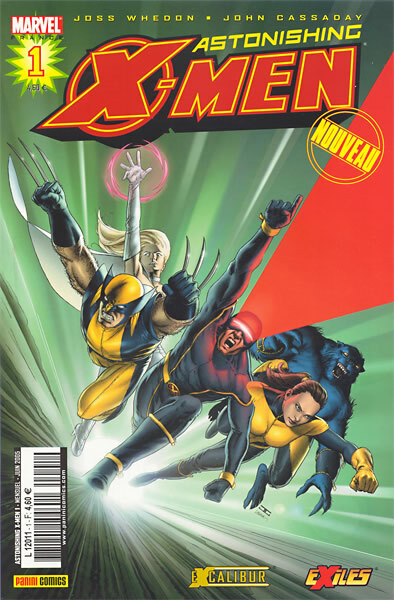 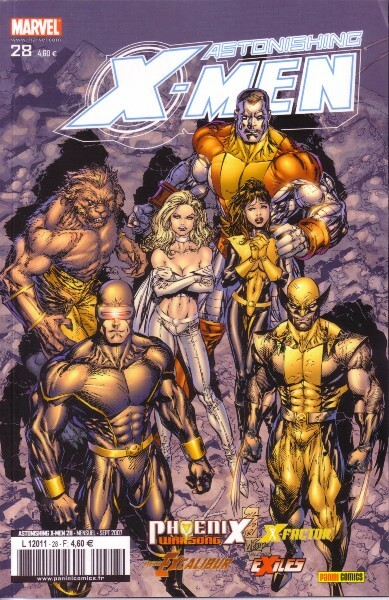 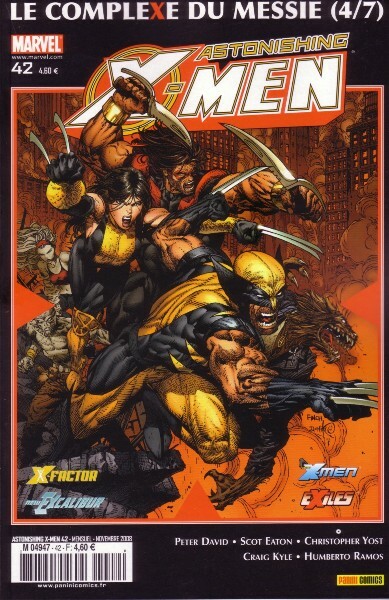 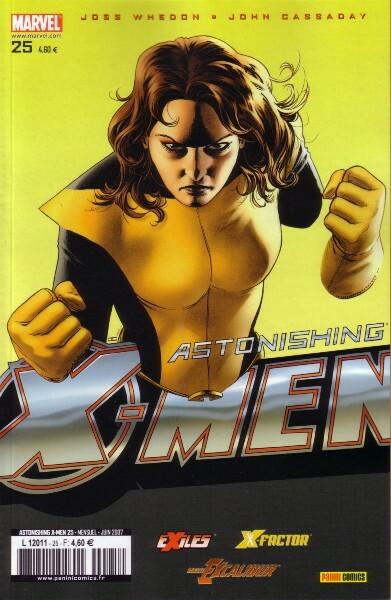 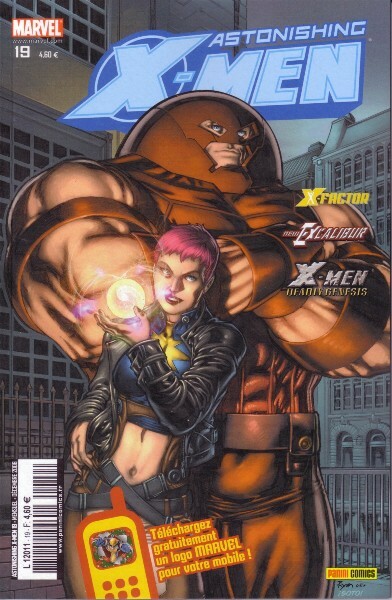 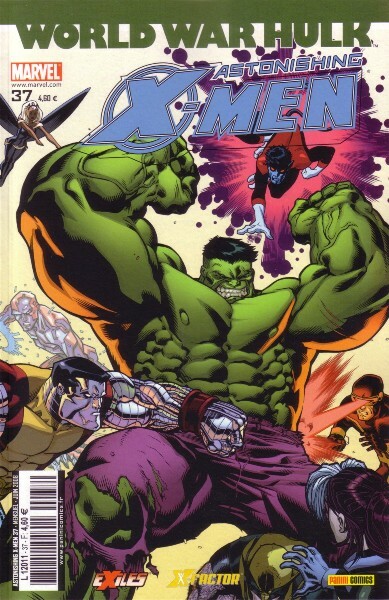 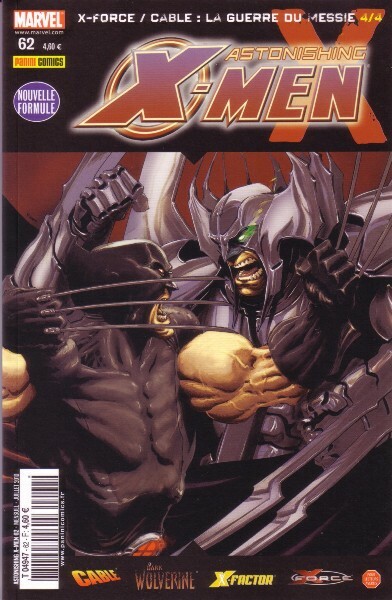 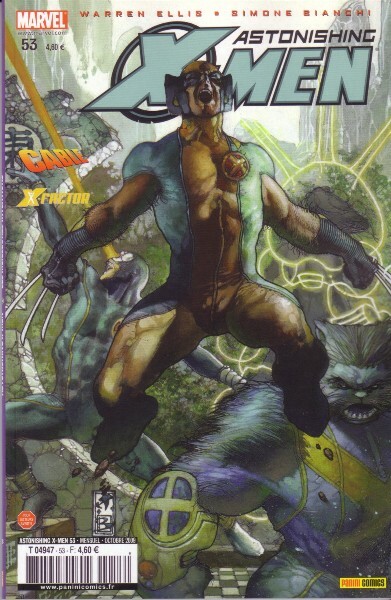 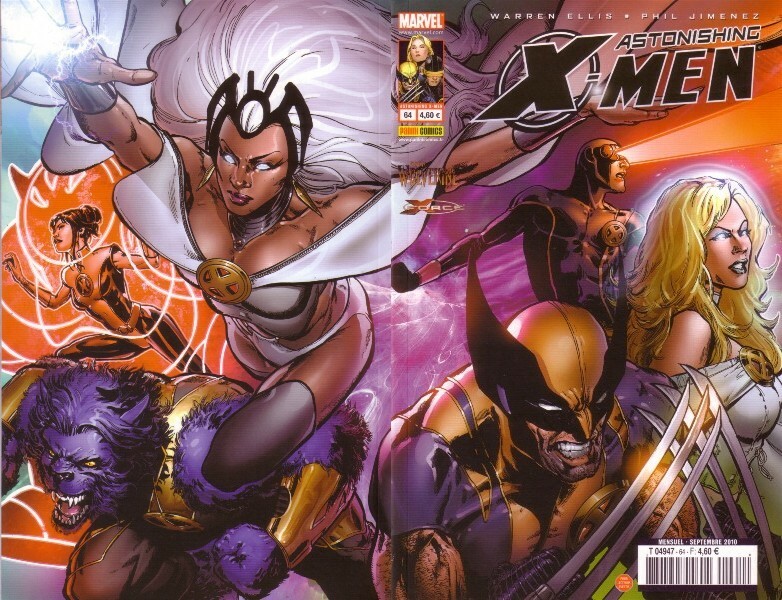 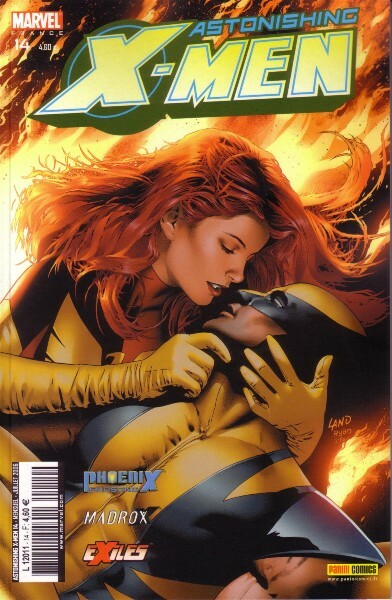 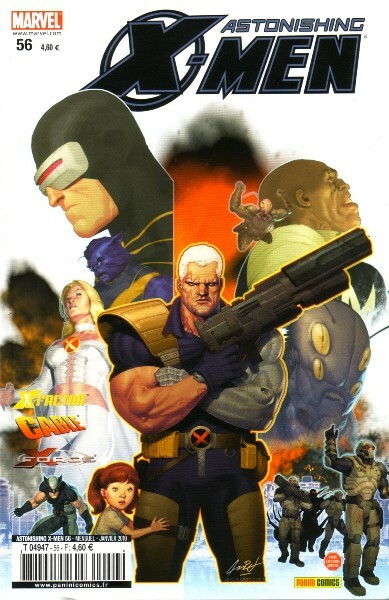 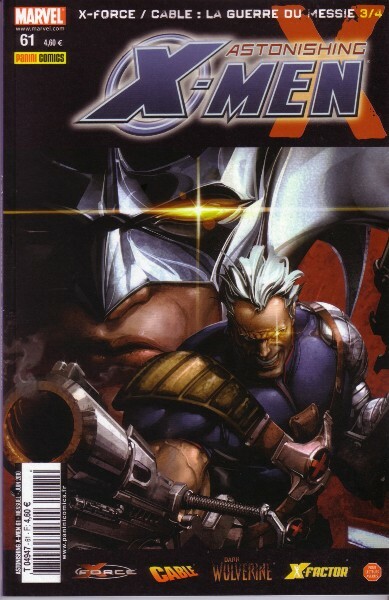 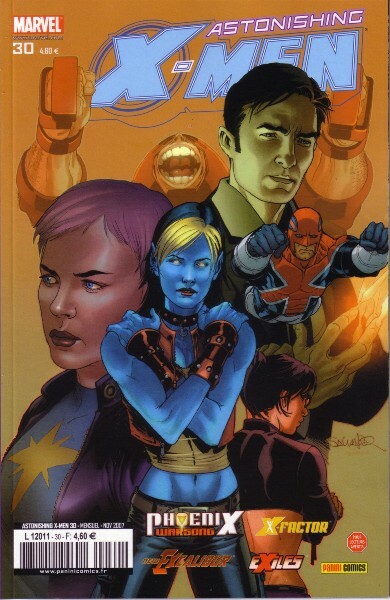 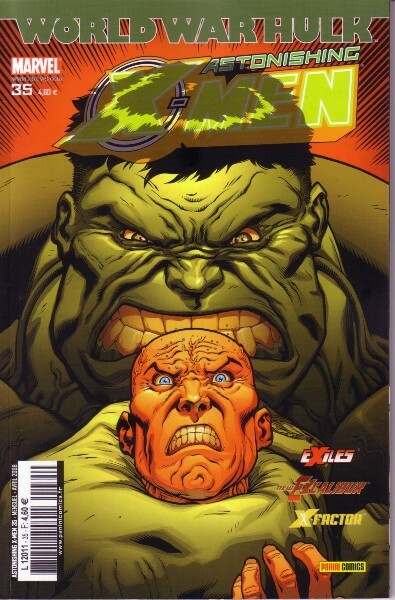 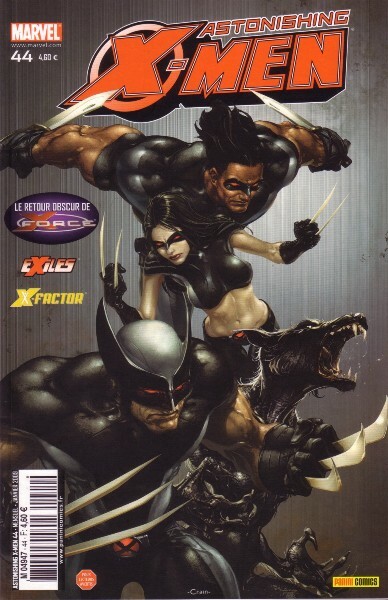 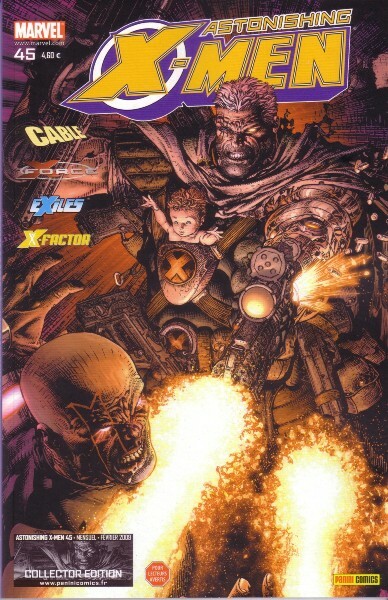 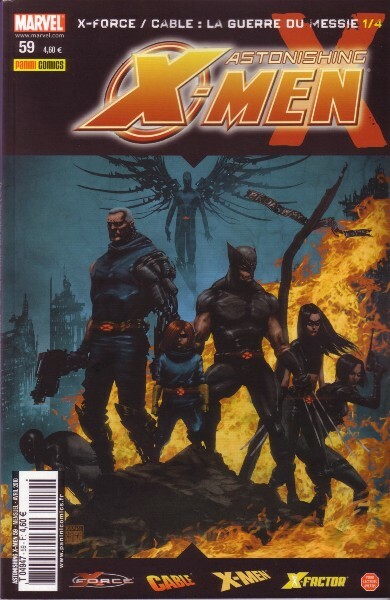 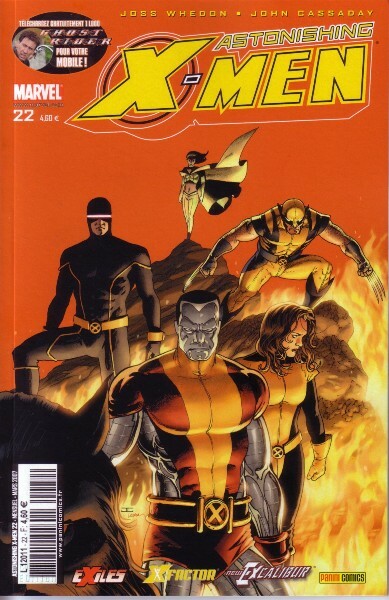 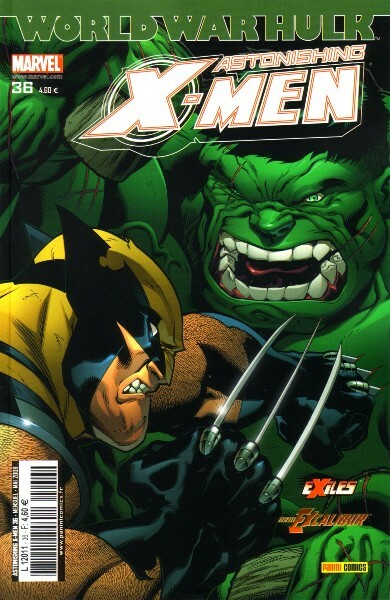 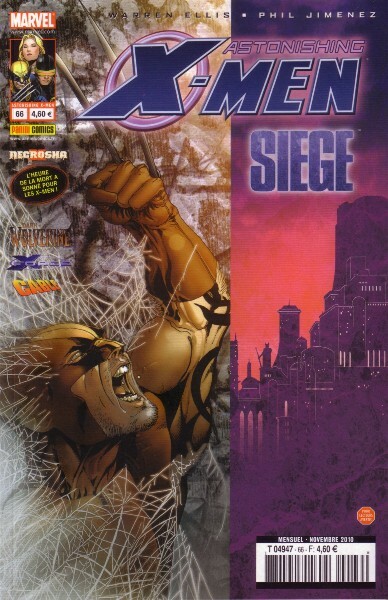 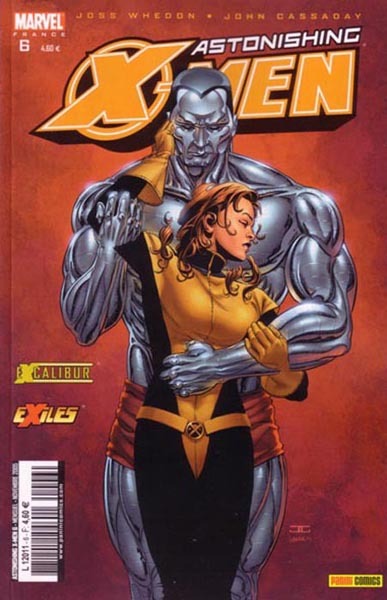 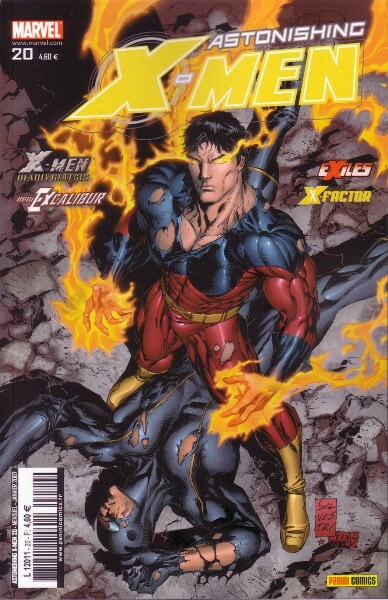 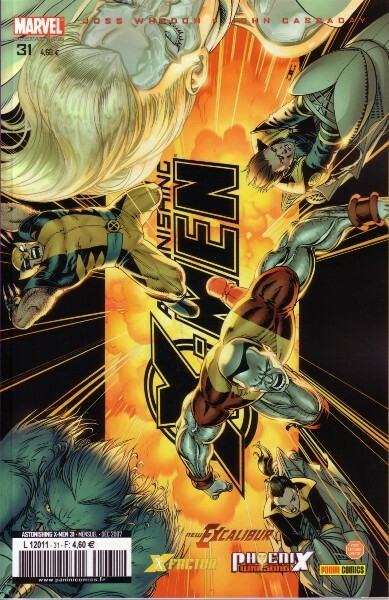 → Exiles (Marvel - 3°) Annual #1 (02/09) Flight Of Angels? 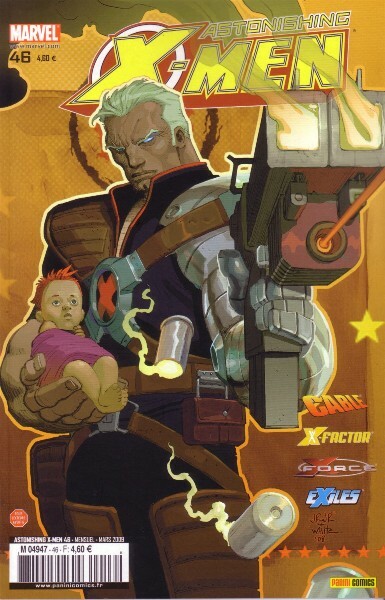 → Cable (3°) #8 (01/09) Waiting For The End Of The World: Invasion, U.S.A.
→ X-Force (3°) #11 (03/09) Who The Hell Is Eli Bard ?